For the past thirty-four years, Gerard Long has lived with one burning ambition: to please the Lord Jesus and obey His will. After a successful collegiate track career, Gerard earned a BS (with honors) in banking and finance and went to work for HSBC (one of the world's largest banks), eventually rising to the office of senior vice president, corporate marketing. In 1980, following a dramatic encounter with God, Gerard felt called to serve in a church in North London, where he remained for twenty-two years, including seventeen as a pastor, while continuing to work in the banking and finance industry. Gerard's banking career took him around the world and included some fascinating roles, including director of the Year 2000 program for the UK and Europe, and chairman of Christians in Finance (which was founded in 1875). 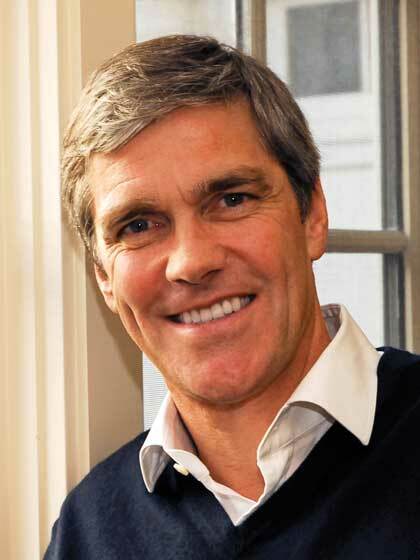 In 2001, he moved to New York to launch a global product for HSBC, and then on to Chicago in 2003 to lead the integration of HSBC and Household International. Throughout his banking career, Gerard sought to introduce his colleagues to Jesus Christ. At the end of 2006, Gerard retired from HSBC and joined Alpha USA full-time to help more people meet Jesus Christ. He now leads the organization whose mission is to serve local churches in presenting the gospel to their communities through the Alpha course. He has witnessed many incredible conversions to Christ while leading Alpha in his home, church, clubs, the workplace, and jails. (Alpha now operates in more than 169 countries, and more than 24 million people have experienced an Alpha course). In 2013, an estimated 250,000 people in the United States alone made a commitment or recommitment to Christ after participating in an Alpha course, and then were integrated into a local church. Though Gerard has experienced the wonderful joy of knowing and serving the Lord Jesus, he has also known the deepest grief and suffering through the deaths of two of his three children (Alex in 2005 and Rebecca in 2014). These losses have served to heighten his desire to complete the work that God has for him, and in particular to see as many people as possible come to a personal relationship with Jesus Christ. In 2010, Gerard released his first book, The Breakthrough, which he developed in cooperation with world-renowned business expert and bestselling author Ken Blanchard. Taking a page from business allegory classics such as Blanchard's One-Minute Manager, The Breakthrough is a modern-day parable through which Gerard uses a simple and engaging story to communicate basic truths about God, religion, suffering, and the afterlife. In 2011, he worked with Chuck Colson to produce a follow-up discipleship course to Alpha, called Walk the Talk, which also featured Rick Warren. Gerard's second book, Awakening to God, which seeks to envision and equip Christ followers to become better "fishers of men, will be published by Tyndale Momentum in the fall of 2014. Gerard also blogs on the topics of evangelism and church growth at www.gerardlong.com. Gerard lives with his wife, Jeannie, outside of Chicago. His son Ben works also works for Alpha. To relax, he enjoys golf, skiing, tennis, and gardening, as well as spending time with family and friends and his two Golden Retrievers.